सीबीआई निदेशक ऋषि कुमार शुक्ला. 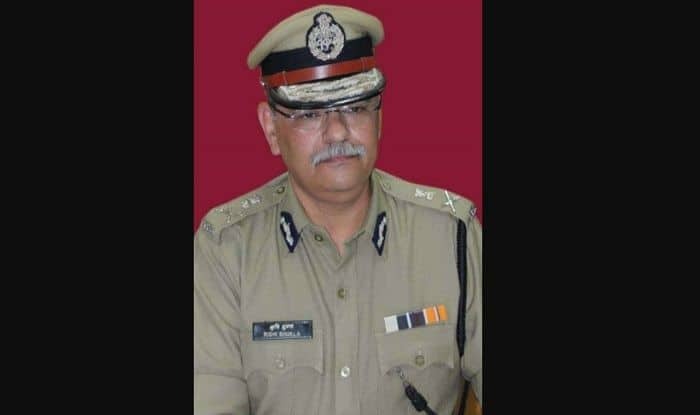 New Delhi: Madhya Pradesh DGP Rishi Kumar Shukla has been appointed as the new CBI Director. Prime Minister Narendra Modi-led selection committee has finalised five names. Notably, the post of the CBI director has been lying vacant since January 10 after the ‘hasty’ exit of Alok Verma, following his ugly spat with Gujarat-cadre IPS officer Rakesh Asthana over corruption charges. After Verma’s ouster, M Nageswara Rao has been working as the interim CBI chief. The 1983 batch Indian Police Service (IPS) officer, Rishi Kumar Shukla, was the 28th director general of Madhya Pradesh police. He took charge on June 30, 2016. Shukla is known for quick investigations in the state during his tenure. He is a post-graduate in Philosophy and a native of Gwalior. Shukla always ensured that charge sheets in criminal cases were filed at the earliest to ensure a timely start of the trial. New CBI director has served in Raipur, Damoh, Shivpuri and Mandsaur districts in different capacities. He was recently transferred from the post of DGP to the Madhya Pradesh Police Housing Corporation in Bhopal as chairman. He also underwent training in the USA for crisis management and hostage negotiations. Shukla was appointed the CBI Director for a fixed tenure of two years. The post of CBI Director is “sensitive” and “important”, and it is not good to keep an interim director of the agency for a longer period, the top court observed, seeking to know as to why the government has not made the appointment yet.